Your home will look attractive and stunning with the touch of a wonderfully polished timber floor. It takes hardly two to three hours of time to change the old dull look of your floor into a smooth and bright one through polishing the floor. With the help of a floor polisher and a mechanical floor, the buffer floor polishing is done. A detailed sanding of the floor is done with the help of a better-quality sand paper and after that the floor polishing is done. The surface of the floor should be properly covered with rough grit to remove the defects and makes the floor flat and even. After this process, a drum sander or mechanical belt is used to make the floor smooth. After all this process the floor is prepared for polishing and buffing. Before you sand the floor, all the nail heads or sharp corners should be thoroughly checked. So that during the cleaning process the sand paper does not shred due to the sharp corners. Then the floor should be cleaned from the sticky materials with this sand paper. After this, the floor should be covered with timber putty mix with saw dust to cover up the holes and dents. Before sanding, the surface of the floor should be cleared and the hardware present in the floor must be removed. You can easily hire the equipment of floor sanding along with the portable edge sander. The team members of the hiring shop will install the sanding belts for you and will give you a demonstration about how to operate the machine. Before the process of sanding the electrical wires, switches must all be sealed. With the help of duct tape and heavy plastic sheets the openings needs to be carefully covered. To be at the safer side you can hang heavy drop sheet to preserve the dust within that area. Everything should be removed, all the furniture, carpets, curtains etc. from the room where sanding will be done. During the process of sanding you have to go on cleaning the dust carefully so that the surface gets cleaned before re-finishing. Before sanding, windows must be opened for ventilation and then by using 24 grit sand paper on the rough floor and follow the process with 40grit. This will help to remove all the irregularities on the floorboard. Now we have to turn on the machine and gradually move it forward lowering the machine to the floor so that the sand paper can get in touch with the floor. Just like rough sanding here you have to load 80grit sand paper and repeat the same course of action like rough sanding. 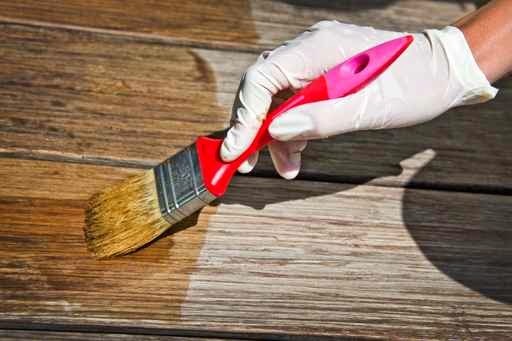 After finishing the process of medium sanding,you need to remove all the sand dust. Before the final finish all the dust should be removed because even a little dirt present in the surface area can create problem. The medium sanding makes the floor very smooth and the fine sanding makes it silky smooth. The process remains the same for all the three sanding. After the sanding process is over, wipe away all the dust from the walls and ceilings. After finishing, the process of sanding the floor should be spotless; all the dust particles should get cleaned. Floor finishes give off strong vapors which are very dangerous and you have to be aware of that, and wear proper safety gear. This blog helps you to learn about timber floor polishing for your home. If you carefully follow above mentioned steps then you will surely have an eye catching and beautiful floor in your home. Let’s have a look to get more information about floor polishing.